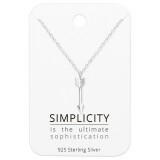 Offering top quality necklace & stud sets wholesale is a priority at our online store. 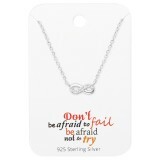 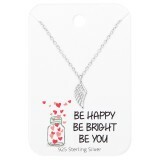 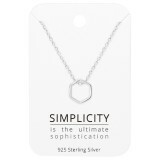 Get sterling silver necklaces wholesale along with matching ear studs and feel assured that they are made of the best materials. 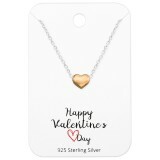 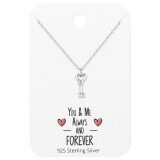 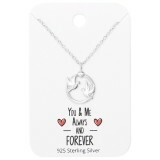 Since the way the matching studs and necklaces are displayed makes a difference to the way they sell, We Silver Jewelry Wholesale provide our sets in beautiful display cards. 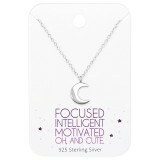 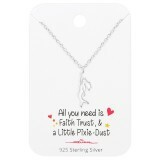 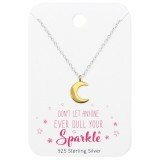 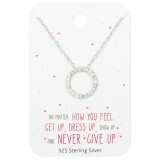 In an effort to help you sell easily and gain more, our silver necklaces supplier provides all sets at very low prices. 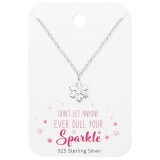 If you shop studs & necklaces wholesale in bulk, you gain even more thanks to our volume discounts. 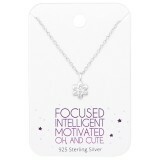 From young girls to working women, most consumers love matching their studs and necklaces. 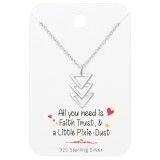 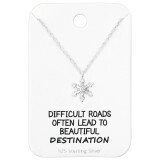 Give them options by shopping from our studs and necklaces supplier. Get the best wholesale necklace & stud sets at the best online market prices too. 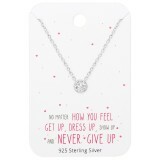 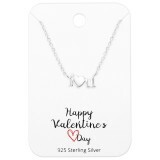 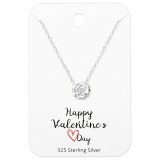 Silver Bow Necklace On Motivational Quote Card with Cubic Zirconia..
Silver Love Birds Necklace On You and Me Forever Card ..
Silver "I Love You" Necklace On Happy Valentines Day Card..
Silver "mommy" Necklace On Happy Mother's Day Card..
Silver Flower Necklace On Motivational Quote Card with Cubic Zirconia..
Silver Mermaid Necklace On Motivational Quote Card..
Silver Triangles Necklace On Motivational Quote Card..
Silver Hexagon Necklace On Simplicity Card..
Silver Infinity Necklace On Motivational Quote Card with Cubic Zirconia..
Silver Snowflake Necklace On Motivational Quote Card with Cubic Zirconia..
Silver Rose Necklaces on Happy Valentines Day Card..
Silver Moon Necklaces on Motivational Quote Card..
Silver Snowflake Necklaces on Motivational Quote Card..
Silver Wing Necklaces on Motivational Quote Card..
Silver Arrow Necklaces on Simplicity Card..
Silver Key Necklaces on You and Me Forever Card..
Silver Round Necklaces on Motivational Quote Card with Cubic Zirconia..
Silver Circle Necklace on Motivational Quote Card with Crystal..
Silver Heart Necklace On Happy Valentine's Day Card..